Samsung Galaxy Note 3 vs Sony Xperia Z Ultra: Which One is Better? 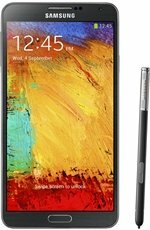 The Samsung Galaxy Note 3 is one of the most highly anticipated phablet recently released this year. Physically, it has the same size as its predecessor, the Note 2. But it has a slightly larger display and better hardware under its hood. This is also the third Android device released to be powered by a Snapdragon 800 chipset. Today let’s put the Samsung Galaxy Note 3 vs Sony Xperia Z Ultra, Sony’s flagship phablet, also powered by a Snapdragon 800 chipset. Which do you think is better? And which one should you buy? First let’s compare the physical aspect or the design of both phablets. Well it’s very obvious that the Sony Xperia Z Ultra is larger than the Galaxy Note 3. The Xperia Z Ultra is taller and slightly wider, but slimmer than the Note 3. That’s 179.4mm x 92.2mm x 6.5mm of the Z Ultra vs 151.2mm x 79.2mm x 8.3mm of the Note 3. Because of the Z Ultra’s size, obviously the Note 3 is lighter, weighing only 168 grams, compared to Z Ultra’s weight of 212 grams. When it comes to size and weight, it’s really a personal preference. There are people who like bigger display than small. There are also people who prefer lighter phones or vice versa. So it’s really up to the user’s hands which one would best fit them. When it comes to the display, it’s also obvious that the Xperia Z Ultra has the larger display; with its 6.4-inch display at 1080×1920 resolution, 344 pixel density, features Bravia Engine 2, X-Reality, Triluminos technology and is protected by a Corning Gorilla Glass 3. Meanwhile the Galaxy Note 3 has a 5.7-inch display, also at 1080×1920 resolution, features Super AMOLED display, and is also protected by Gorilla Glass 3. But since the screen size is smaller at the same resolution, the Note 3 has a higher pixel per inch density of 386. That’s not significant, only slightly higher. Despite the difference in size, both of them produce high quality, sharp and beautiful display. 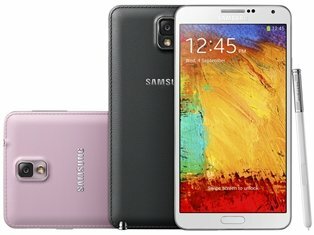 The Samsung Galaxy Note 3 has the better camera this time, with its 13 megapixel rear facing camera (4128×3096), with AF, LED flash, Image Stabilization and more features. It is paired with a 2 megapixel front facing camera capable of 1080p videos at 30 fps. 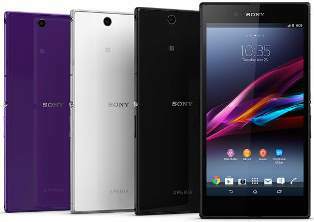 Meanwhile, the Sony Xperia Z Ultra has only an 8 megapixel rear facing camera (3264×2448), with AF, and similar features. It is also paired with a 2 megapixel front facing camera. Although the Operating System is not really comparable since both of them are powered by Android Jelly Bean, the Note 3 comes with a newer version of the Jelly Bean 4.3. While the Xperia Z Ultra comes with Jelly Bean 4.2 out of the box. This is not a big issue since OS is upgradable. And you’ll probably install a custom ROM once you have one. Now this is where the performance battle happens, under their respective hoods. Both the Samsung Galaxy Note 3 and Sony Xperia Z Ultra are based on the Qualcomm Snapdragon 800 chipset, featuring a Quad Core Krait 400 processor with Adreno 330 for their GPU. However the Galaxy Note 3’s CPU is clocked higher at 2.3GHz compared to Xperia Z Ultra of only 2.2GHz. That’s not a significant difference, but the Galaxy Note 3’s CPU is paired with 3GB of RAM, compared to Z Ultra’s 2GB RAM, giving more room specially for multitasking activities. So which do you think is faster, the Note 3 or Z Ultra? 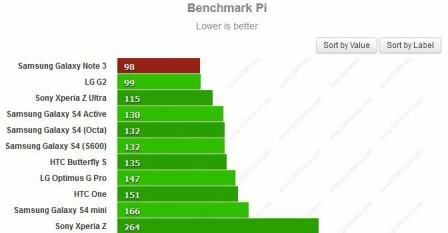 You will find the answer on the benchmark section below. Moving on, there is also more storage option with the Galaxy Note 3. It comes in 32GB and 64GB variant. Meanwhile the Xperia Z Ultra comes with 16GB of storage only. Both of them have a microSD slot and supports up to 64GB of microSD. When it comes to connectivity options, I can say that both of them are just equal. Both have WiFi 802.11 a/b/g/n/ac dual band connection, DLNA, WiFi Direct, WiFi hotspot, Bluetooth, microUSB ports, LTE connection, NFC, GPRS, A-GPS with GLONASS, and EDGE. Both of the devices are very much capable of meeting your connectivity needs, whether wireless or wired. 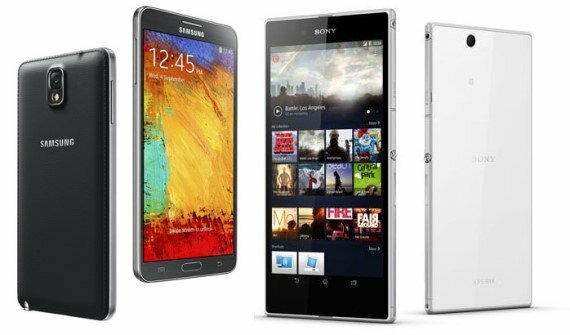 When it comes to features, both the Samsung Galaxy Note 3 and Sony Xperia Z Ultra have their own respective special features. But it seems that the Galaxy Note 3 has more set of features than the Xperia Z Ultra. The Note 3 has S Pen for writing and drawing; it has more sensors like barometer, temperature, humidity; it has Air gesture and other stuff that I might have missed. Most of the features that the Xperia Z Ultra has can also be found in the Galaxy Note 3. But the Xperia Z Ultra is IP58 certified, meaning it is dust and water proof. This is another advantage of the Xperia Z Ultra over the Galaxy Note 3. And this is also one feature that I am considering in my next Android phone. I simply hate my phone getting wet. Why, because warranty doesn’t cover it, and most probably your phone will become useless or defective. The Samsung Galaxy Note 3 comes with a Li-Ion 3200 mAh battery, which has a larger capacity compared to Sony Xperia Z Ultra’s non-removable Li-Ion 3050 mAh battery. Most probably the Galaxy Note 3 will have a longer battery life than the Xperia Z Ultra, plus considering the fact that the Xperia Z Ultra has to power a bigger screen display than the Note 3. If battery life is one of your concerns, the Galaxy Note 3 would be great for you. GSMarena has released the first benchmark scores of the Samsung Galaxy Note 3. Now looking at the specifications mentioned above, I think you already have an idea which one is the faster phablet. Both the Samsung Galaxy Note 3 and Sony Xperia Z Ultra are great phablets. Each has its own unique features, but powered by the same core processor. Since both of these devices are flagship Android phones, most probably, their prices are just similar. 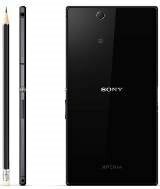 Of course, since the Sony Xperia Z Ultra has been in the market for quite some time now, it might have a lower price compared to the Galaxy Note 3. But there are more features that you need to consider why you should get the Galaxy Note 3 instead of the Xperia Z Ultra. Features such as S Pen, better camera, longer battery life, more sensors and gesture control, larger storage capacity and probably the design as well are the plus factor of the Galaxy Note 3. But if you are looking for features like dust and water proofing and a really large display, then the Xperia Z Ultra might be your best choice. 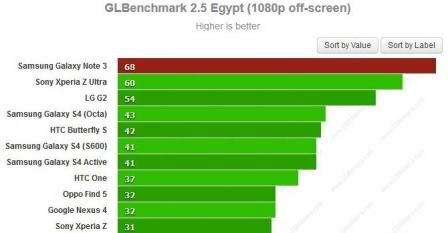 Even though the benchmark scores above is telling us that, indeed, the Samsung Galaxy Note 3 is faster than the Sony Xperia Z Ultra, their scores are not significantly apart from each other. 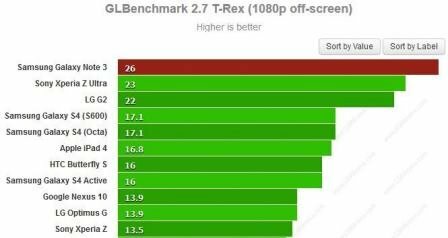 This means that you probably won’t notice any significant performance difference in real life use. My other suggestion is, go to a mobile store or a Samsung or Sony outlet where they both demo the unit. Try both phablets and see how they feel in your hands. Remember, get the phablet that best fits your needs, your budget and your hand. What do you think? Which android phablet is the better one for you? Which one will you get (if ever)? iPhone 5S and iPhone 5C vs Samsung Galaxy S4 and Galaxy Note 3 – Which One Would You Get? How Tough is the LG G Flex? And Will the Flexible Display Break from a Drop?